The WFApts.com website features communities in Wichita Falls, Electra, Iowa Park, Burkburnett, and Holliday! Avenue H is in Wichita Falls. The Electra is in Electra. Country Hills is in Iowa Park. The Neville is in Burkburnett. Cedar, College 9, College 12, and Studio are in Holliday! For Leasing Information, from the list or map below, please choose a community. 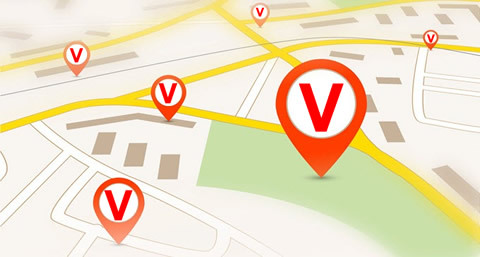 Click Map To Search Now! "With affordable living, cultural development and strategic planning resulting in short commute time, business owners and residents alike benefit from being part of the Wichita Falls community. In addition, our city's open skies, beautiful sunsets and abundant beauty provide the perfect atmosphere for you to take advantage of our endless opportunities." Using the tabs on this page, here, you can pay your rent, submit a service request and contact our management team. To contact our management team by phone, please call (940) 692-5655. Our Apartment Communities promote equal housing opportunity and choice for all prospective residents regardless of race, color, creed, national origin, disability, or marital or familial status.